The 2017 MySydney Calendar featured 13 shots by the participants. 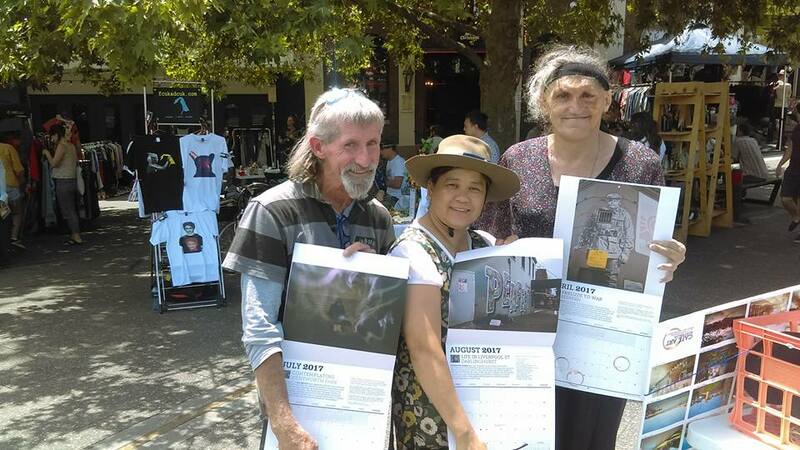 We sold the calendar on KickStarter and also at Newtown and Darlinghurst markets. Ian, Katherine and Michelle, 2016 participants showing the picture they took. All day they autographed the months.